Walking on the edges of the cliff with local guidance and enjoying the majestically pristine Icelandic nature is an unforgettable adventure. 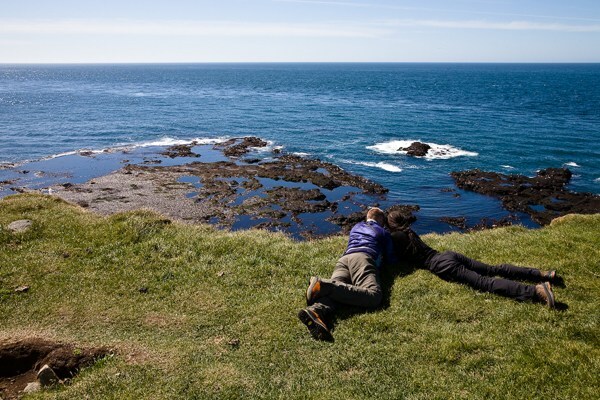 Látrabjarg is one of the most beautiful natural sites of Iceland. It is the largest sea bird colony in the Northern Atlantic and marks the most western-point of Europe. The cliff itself is the habitat of millions of seabirds which can be seen on a walk from the top of the cliff, such as puffins, razorbills, fulmars, guillemot and many more. Látrabjarg is claimed to be the best place in the world to photograph puffins because of how close you can get to the puffins from the cliff. The local guide will take you to an unforgettable hiking tour around the area. On the way back to Patreksfjördur we will stop at the Heritage Museum at Hnjótur. 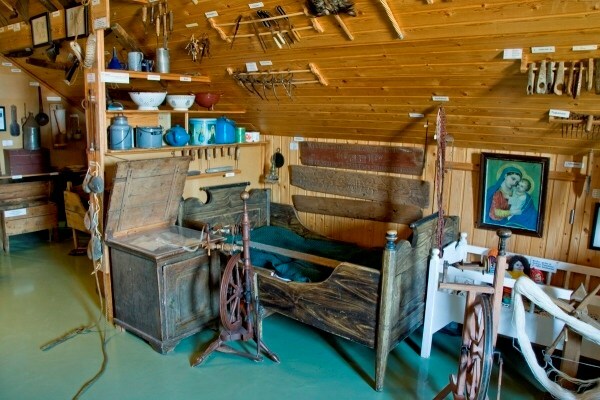 In this interesting museum we will learn how Icelandic people lived in the old days by examining cultural values , and how they rescued sailors from stranded ships under the steep cliffs. Tips: Advisable to wear comfortable warm clothing. We recommend that you bring a backpack and water bottle. Please wear hiking boots.